It's easy to forget that VR, as a home entertainment technology, is still very new, and requires developers to look at game development in a completely different way. This isn't just dealing with a more powerful console, drawing higher resolution graphics, or finding the money for an orchestra when once a MIDI composer would do. This is more like the jump from 2D sprites to 3D gameplay; remember how long it took developers to get cameras right in 3D games? VR requires developers to think about games in a completely different way, so it will be a few years before they truly start to master what the technology is capable of. 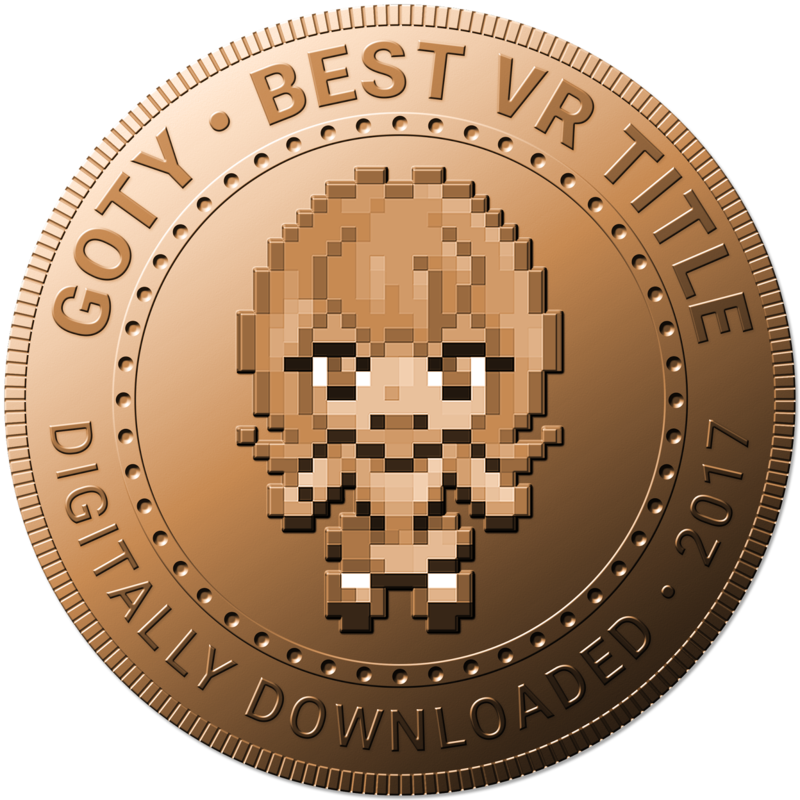 For now people are dismissing VR output as "tech demos," but we love what VR is doing for us already, and this year's awards were decided on just that; the promise of what is to come. There are some things that VR is particularly good for. 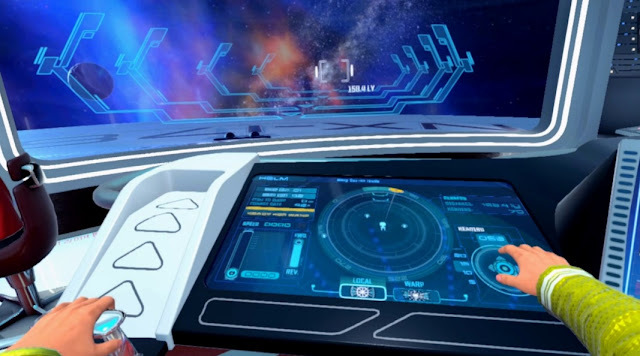 Any activity where you, the player, are predominantly stationary or sitting down allows for all the benefits of VR (the realistic depth perception and the 360-degree immersion), without any of its weaknesses (the unrealistic and sometimes motion sickness-inducing movement around a space). Pinball, in that context, is perfect for VR, because it is an activity that plays out while you stand in a very stationary position, but fundamentally benefit from having a "proper" sense of depth perception in how the ball rolls around the table. We wish that the developer, Zen Studios, supported the game with more tables than are on it, but we absolutely love what is there. This game is pure wish fulfillment. What Star Trek fan hasn't watched an episode of the show and genuinely wished to be one of the crew on the bridge, with their own sphere of influence, taking on orders from the captain for the success of the whole mission? That's exactly what Star Trek: Bridge Crew enables, and it is a truly wonderful experience. Down the track we might get away missions, but even without them, simply sitting there, on the bridge of an actual Star Trek ship, looking through the giant window at a Romulan ship poised ominously nearby... it just doesn't get more authentic than that. Yes, Dead or Alive Xtreme 3 is extreme fanservice, and yes, the VR update doesn't actually add much to the game. All it really does is allow you to observe the ridiculously beautiful Dead or Alive women striking various gravure poses, or frolicking around on the most exotic of tropical beaches. Yes, there's a lot that can be discussed about the implications of all that voyeurism, but here's the thing; Dead or Alive Xtreme 3 also proves that in VR, you can elevate something that is otherwise very mundane into a feature that has huge impact. Koei Tecmo has shown just how human character models can be in VR, and while this game itself is just a "tech demo" for VR, it opens the door to some intriguing games that generally wouldn't work using conventional gameplay interfaces. Fashion photographer simulations, dating games that take the experience to a whole new level, and so on. So much VR at the moment is focusing on being heavily stylised so as to not look too "realistic," but Koei's staring the uncanny valley right in the face with this game, and we're impressed with the future that it promises.